I discovered this game a while back from a Humble Bundle purchase when I decided to try out the games that came along with the one game I actually wanted. To my surprise, I came across a unique find that got me hooked until I beat the game (then I went back and got almost all the achievements). 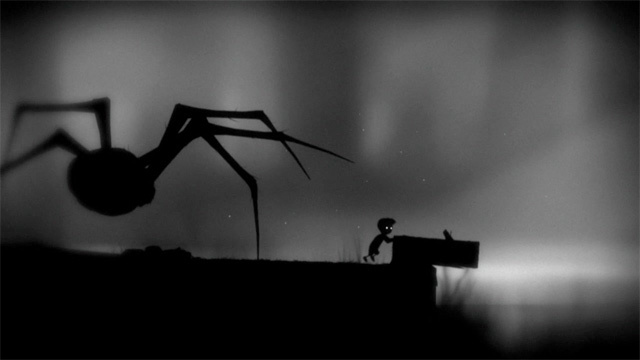 Limbo is a 2D puzzle-platformer adventure game set in a dark, sinister world where nightmares thrive. You play as a little boy that traverses a dangerous world in search of an unknown something throughout his long journey. You guide him through many harmful obstacles and enemies including terrifyingly large spiders, bear traps, and mechanical saws to name a few. Little is understood from the beginning as your character wakes up in this nightmarish land and no narration nor dialogue takes place. This character you play as does not even have a name. But one thing is for sure, in order for the little boy to survive this world and all the dangers that come with it, you must guide him forward to the next checkpoint through this journey. 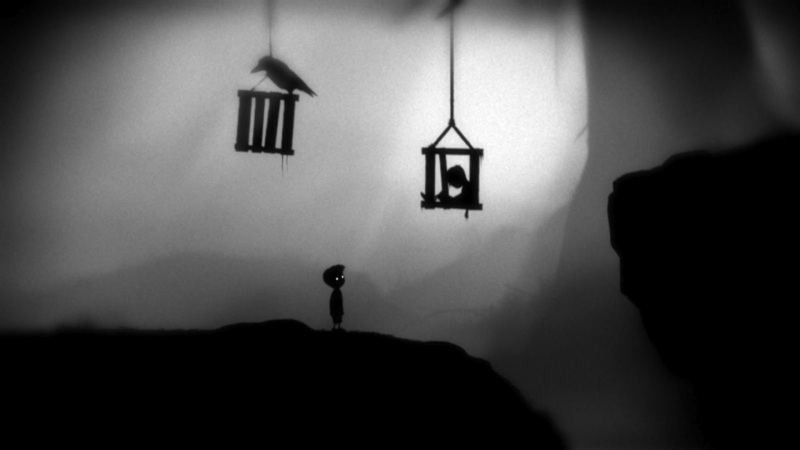 The gameplay of Limbo is one that teaches the player through trial and error, with the error ultimately resulting in a quick but gruesome death. This adds to the creepy and morbid atmosphere that fits a game like this perfectly. Experiencing death in this game sheds some light on the do’s and don’ts for challenging puzzles that often involve the physics of rotating environments and gravity. There are several interactive objects that your character can push, pull, and maneuver in various ways to keep yourself safe and help you get past obstacles. It is after much practice and many deaths that I was finally able to fully understand each obstacle along the way and know how to overcome them. It can become quite frustrating when you can’t seem to piece together what levers and objects should be used for a specific purpose, and each mistake lands you another grisly death scene. However the satisfaction that comes after that light bulb in your head goes off is unmatched and a whole part of the game experience. What makes this game truly unique is the story that it tells without words. The artwork is simple yet effective using layers of grey-scale to set the eerie tone of the game. Everything from the details in the grass to the outlines of the trees makes this game visually stunning and dark. There is a story behind the boy and the things he encounters in this alternate world of shadows but nothing is explicitly explained. It allows us to make our own interpretations as we continue forth in the game. The puzzles and challenges you face increase with difficulty as you travel further and further into the world, each building on the last. This game does become quite difficult and frustrating if you happen to get stuck not knowing what to do. Many times I would get stuck and would aimlessly walk around the land scouting for anything to help me get past a certain obstacle. The walking around and exploration of your environment stays true to the character of a curious little boy on a journey, interacting with various objects and creatures. The tone is very suitable, with an emphasis on the exploration of the unknown and plays to our inner most fears. It is this curiosity that will either lead the boy to his survival and the continuation of his journey or reach an unfortunate end to his life. Upon death, you are able to return to your last checkpoint and continue from where you left off. At first I didn’t think that I would become so interested by a game that looked so dark and evil. After all, I usually prefer lighthearted games that allow me to unwind and relax. I was intrigued by the simplistic artwork and played for the puzzles and overcoming obstacles with the little boy. But what really made me stay was the story that was hidden beneath all the gameplay – the story of the little boy and why he is in such a place. And who is the boy after all? After finishing the game, I can’t say that all my questions got answered, but like a great work of art, the meaning behind the masterpiece is up to our own interpretations. 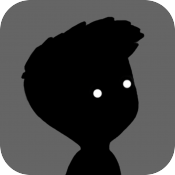 Limbo is a challenging indie adventure game made for the type of gamer that likes to play at their own pace and engage in some mind churning puzzles, all while enjoying an artistically minded setting and atmosphere. There is not one reason that I love this game, it is beautifully crafted and well thought out from the music to the art. The gameplay is simple, effective, and addictive. And the story is unforgettable. Hey, great article! I may have to go out and buy Limbo now! Sorry if this is blatant advertising, but why not have a look at my review of the multiplier puzzle platform game ibb and obb.